Just Men’s Rings (JustMensRings.com), the online retailer known for its unparalleled selection and prices, has recently expanded its line of Benchmark men’s diamond rings to include exciting new styles and metals. Now available in alternative and precious metals like palladium, Argentium silver and cobalt chrome, these diamond wedding rings for men offer a variety of styles that range from traditional to contemporary that are sure to suit the particular tastes of any man. The combination of Benchmark’s much heralded design, craftsmanship and quality and Just Men’s Rings’ dedication to affordability and service continues to be a winning one with this latest collection. The new selection of Benchmark diamond rings at JustMensRings.com pairs the Benchmark quality with the competitive pricing that customers have come to expect from Just Men’s Rings, in unique metals like palladium, cobalt chrome and Argentium silver. 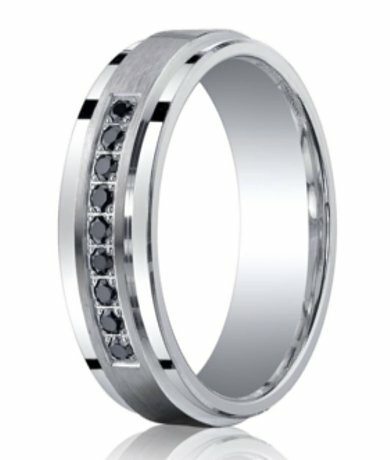 Men seeking the perfect unique wedding band have reason to rejoice: Just Men’s Rings has recently expanded its selection of Benchmark diamond wedding rings for men. Considered to be one of the top designers of men’s wedding bands in the country, Benchmark’s latest collection of men’s diamond rings at JustMensRings.com reflects its continued excellence and innovation in design and production. Just Men’s Rings dedication to carrying the widest range of precious, alternative and contemporary metals and materials is also evident in their new selection of Benchmark diamond wedding rings for men. In addition to the pre-existing collection of white and yellow gold men’s diamond rings offered for sale on JustMensRings.com, diamonds can now be found dotting palladium, Argentium silver and cobalt chrome bands. 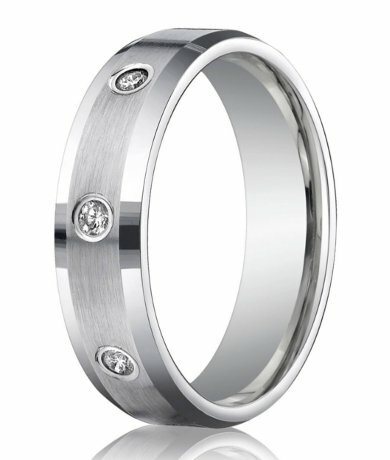 The latest selection of Benchmark men’s diamond rings available at JustMensRings.com range in design from classic and traditional to contemporary and modern, and diamond settings include bezel, channel and burnish. Some styles tend towards the minimalist and architectural, while others are edgier and can double as fashion rings. Just Men’s Rings’ new Benchmark offerings also include rings that feature some of the hottest current trends in diamond wedding rings for men: blackened (also known as oxidized) accents, groove details and black diamonds. Known for being one of the premier providers of men’s diamond rings for the past 40 years, the Benchmark name is synonymous with exceptional design and exquisitely crafted workmanship. Based in the United States, Benchmark’s rigorous diamond ring design and manufacturing process is structured to elicit the highest quality product and includes die striking each band, precision setting diamonds for secure and maximized display, and ensuring that each men’s diamond ring passes through 22 separate operations and 5 quality inspection points. All of Benchmark’s rings enjoy a Lifetime Guarantee for services ranging from refinishing to resizing. With the latest Benchmark additions and more slated for the near future, those seeking an eye-catching men’s diamond ring need look no further than Just Men’s Rings. In addition to Benchmark’s Lifetime Guarantee, JustMensRings.com offers shoppers free shipping on orders over $99 and a 30 day guarantee on all products. 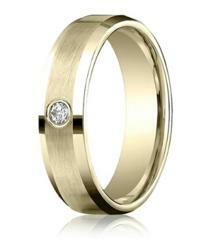 At internet-only retailer JustMensRings.com, customers have come to expect the best possible prices on an extraordinary selection of men’s rings, as well as the highest standards of service, selection and quality. The proof is in the numbers: Just Men’s Rings (JustMensRings.com) now offers the largest selection of men’s fashion rings online, and is the only store in the United States that offers men’s large size rings up to size 20. Just Men’s Rings leads the competition with an unparalleled assortment of unique and alternative men’s wedding rings in a range of traditional and contemporary materials including gold, platinum, palladium, titanium, Tungsten, silver, stainless steel, cobalt chrome and Seranite (or ceramic). Despite the recent rise in gold prices, Just Men’s Rings continues to keep item pricing low and affordable, and shoppers would be hard-pressed to find better deals elsewhere. JustMensRings.com is dedicated to providing its customers with a simple and secure online shopping experience, and offers a 30 day guarantee and free shipping on all orders over $99.